Alex Wong/Getty ImagesHillary Clinton addresses a crowd at a Planned Parenthood event in Washington, D.C.
Hillary Clinton expressed sympathy for the victims of the Orlando terror attack and called for greater measures to combat ISIS-inspired acts, including better intelligence and stricter gun control laws. 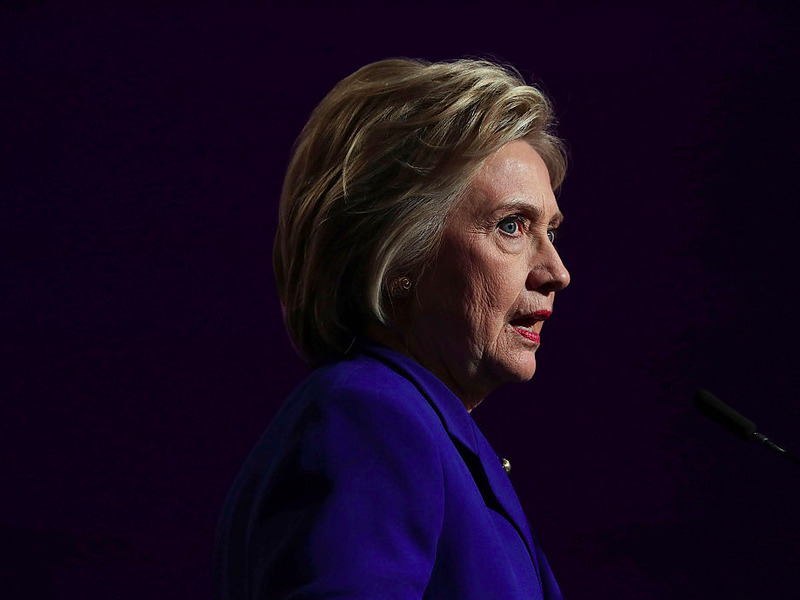 In a statement released Sunday afternoon, the presumptive Democratic presidential nominee said the US needed to take additional action to stymie ISIS recruitment after a gunman who pledged allegiance to the terror group killed 50 and injured scores more. “This was an act of terror,” Clinton said. The former secretary of state noted that the attack occurred during LGBT pride month, labelling the shooting an “act of hate” against the LGBT community. “The gunman attacked an LGBT nightclub during Pride Month. To the LGBT community: please know that you have millions of allies across our country. I am one of them. We will keep fighting for your right to live freely, openly and without fear. Hate has absolutely no place in America,” Clinton said. For his part, Donald Trump went on the offensive, telling supporters on Twitter that Sunday’s attacks proved that he was the better candidate to protect the US against terror threats. The presumptive Republican presidential nominee thanked supporters who congratulated him for “being right” about the dangers of terrorist acts committed by extremists, and retweeted a tweet claiming that Clinton could not make the US safe.